Fluttering Butterfly is very pretty! It has been designed so very creatively!Very creative butterfly shaped rug! It looks very great! Very nice furnishing of each of the areas of the room! The orange colour scheme is very nice.Very nice entrance area! The flower patterned door, floral wall clock, vases of flowers and the butterfly wallart on either sides, and the colorful butterfly on the floor look very nice! Very nice corner armchairs sitting nook for Belinda to enjoy reading a cookbook there in the pretty setting! The flowers are pretty on corner table. The butterflies pictures look very nice on the wall above the large cabinet. Very lovely design of the windows area! The colourful patterned curtains, prettty flowers on the grey tiling and the wall art either sides all come together to look so very nice! The knives, eggs basket, utensils, and paper towel are homely kitchen touches. 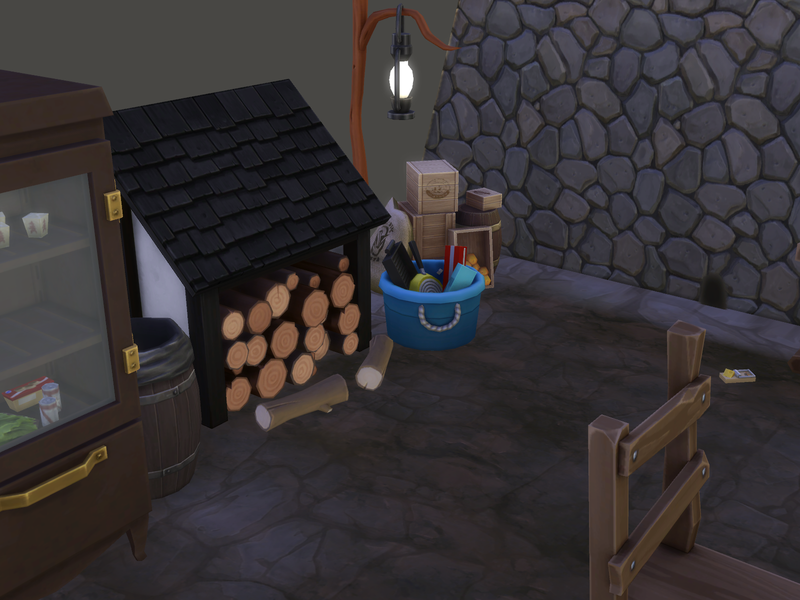 The fridge nook is great! 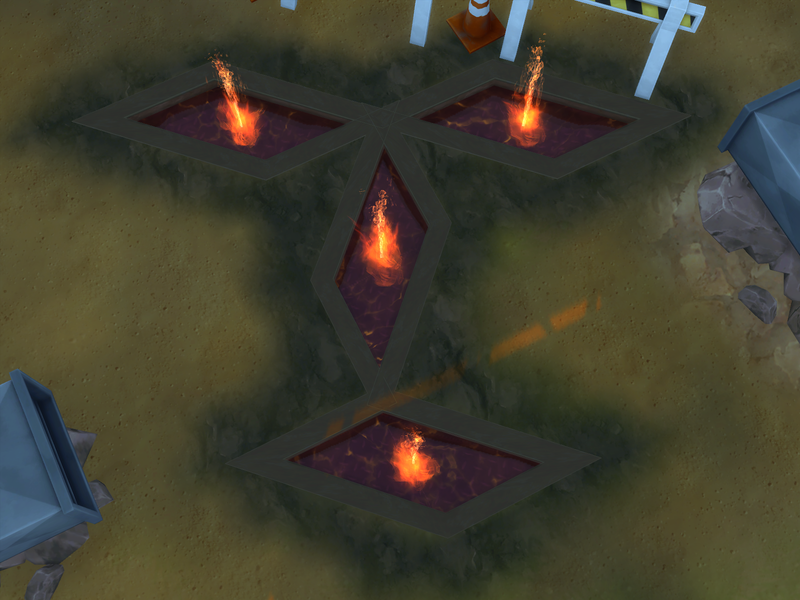 The spider web wall pattern is very nice! 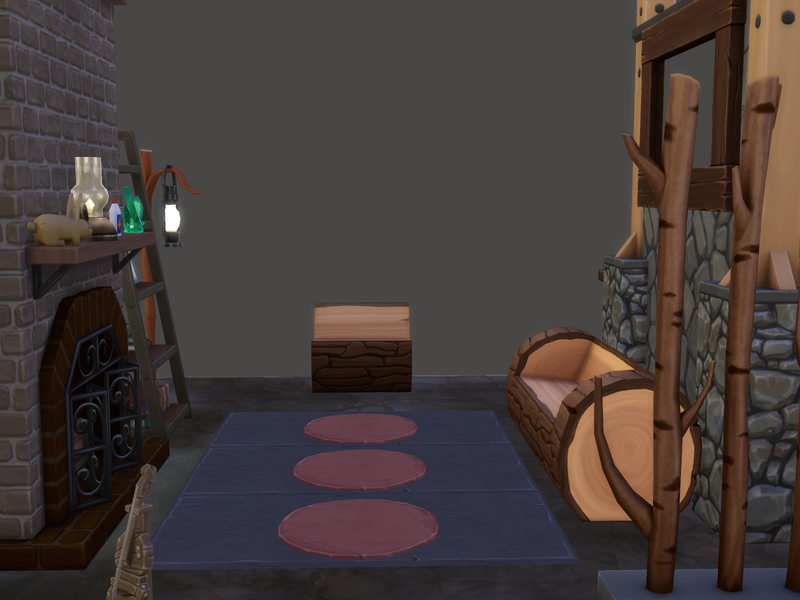 Very nice stove and stools counter! The flowers are very pretty on the back of the stove! 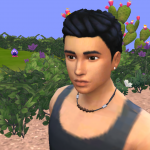 Sims will enjoy sitting on the stools eating a meal or having an ice cream from the machine. Very lovely and creative butterflies tree wall area! 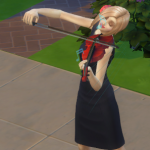 It looks so very pretty! Belinda enjoy looking at it whilst she gets a cup of coffee or makes some popcorn. 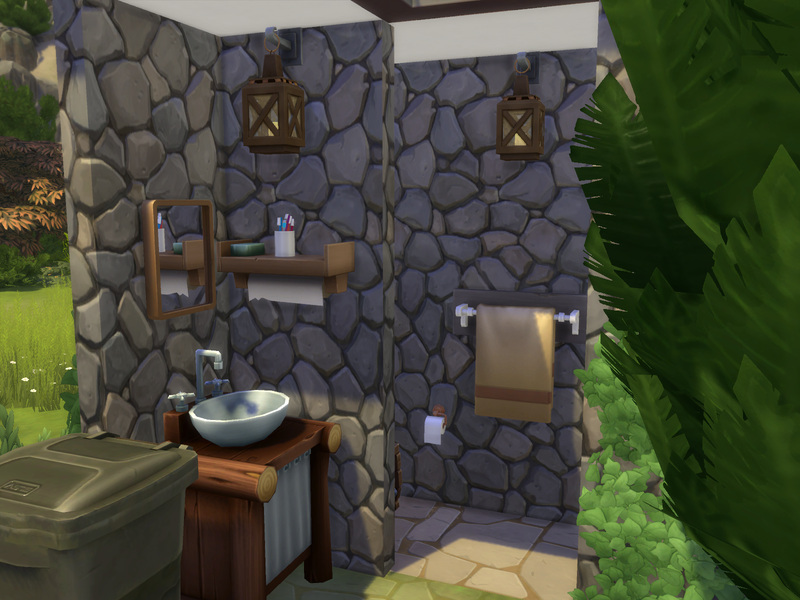 Very nice sinks counter area! The colourful patterned curtains look pretty on the windows, and the cabinets look great how they have been placed around the windows. The flowers are pretty on top of the bookcase. Thankyou very much for using my artwork in your room! Awesome butterfly kitchen @chips46 ! 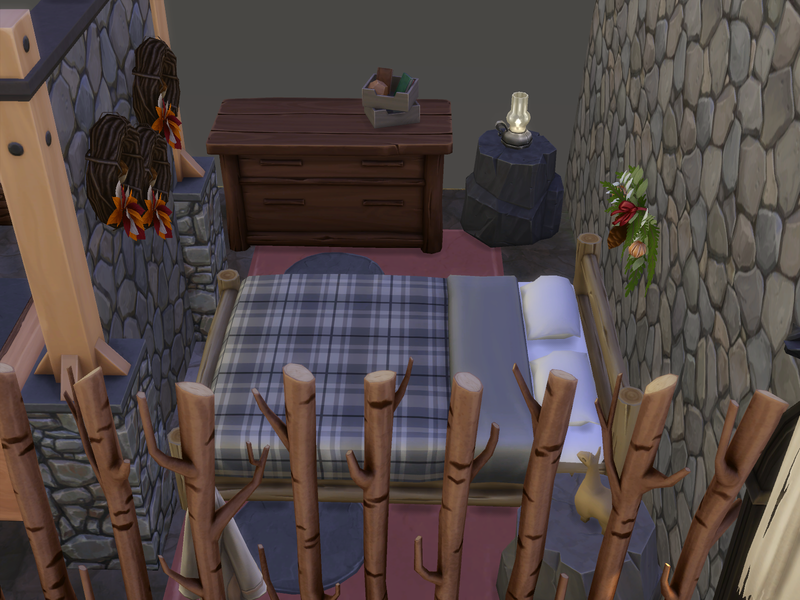 I love all the details, especially the butterfly rug and tree full of butterflies ! oh scary @chips46 ! It's very creative ! You’re WIP is looking great! I will look forward to seeing the finished build! 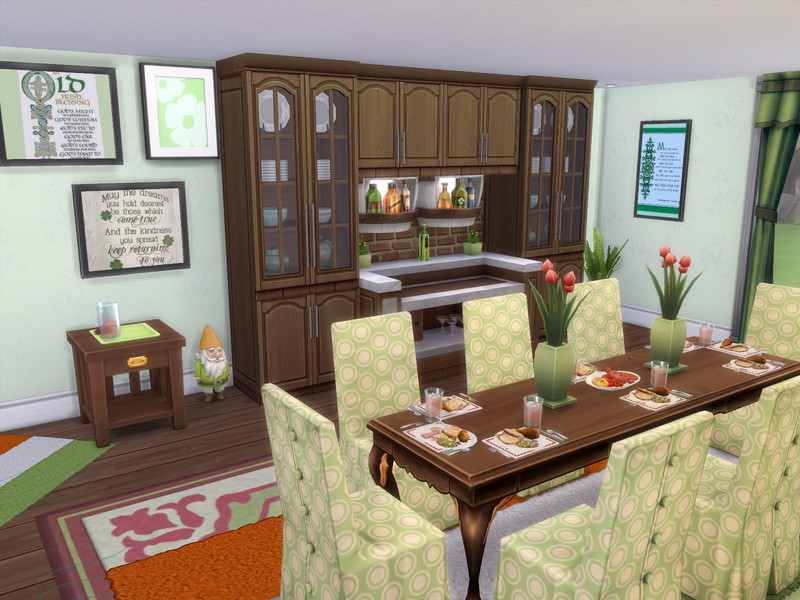 The theme for the week: A St.Patrick’s Day dining room. 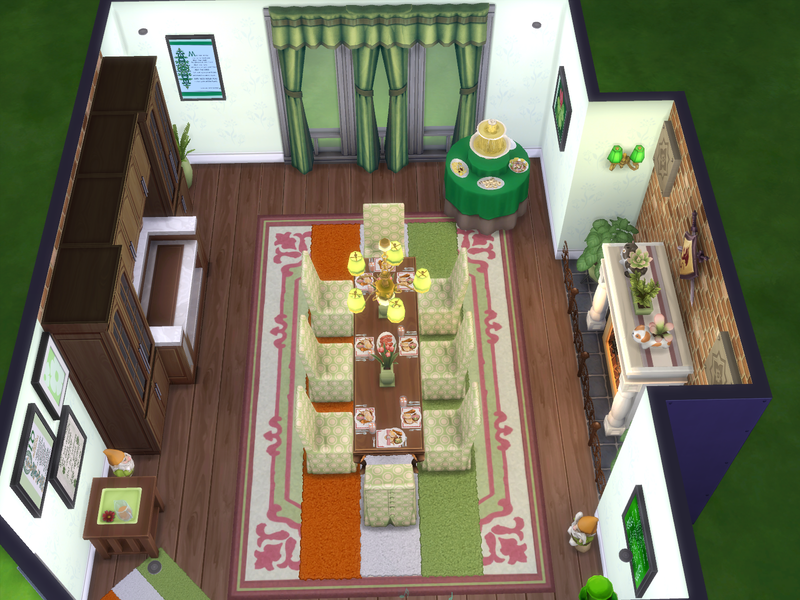 Lucky Clover is a lovely Irish themed dining room to celebrate St. Patrick’s Day! 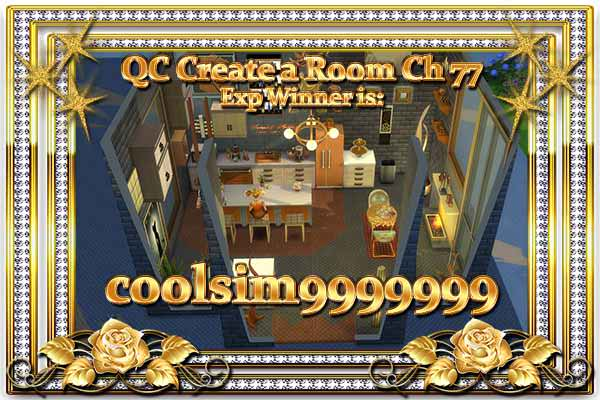 Very nice furnishing of the room! 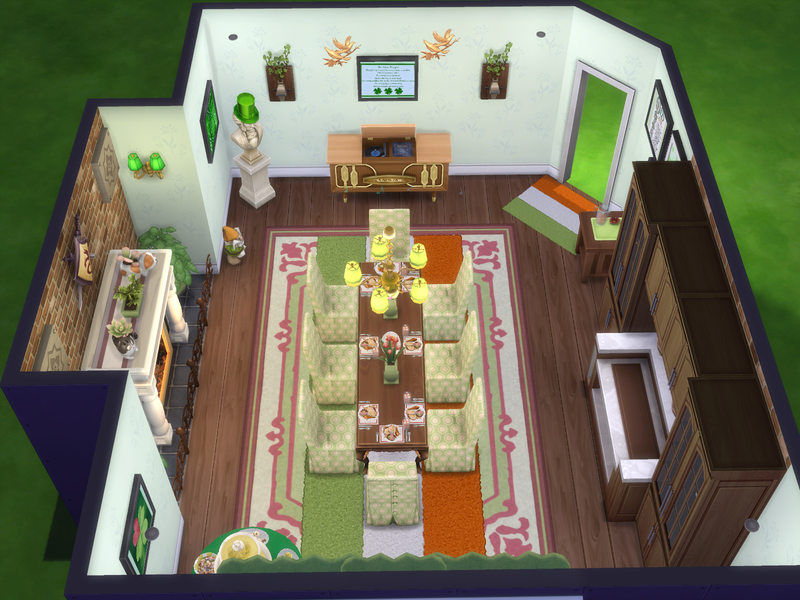 It looks so very creative the way you have used the green, white and orange floor rugs to create the Irish flag under the dining table! 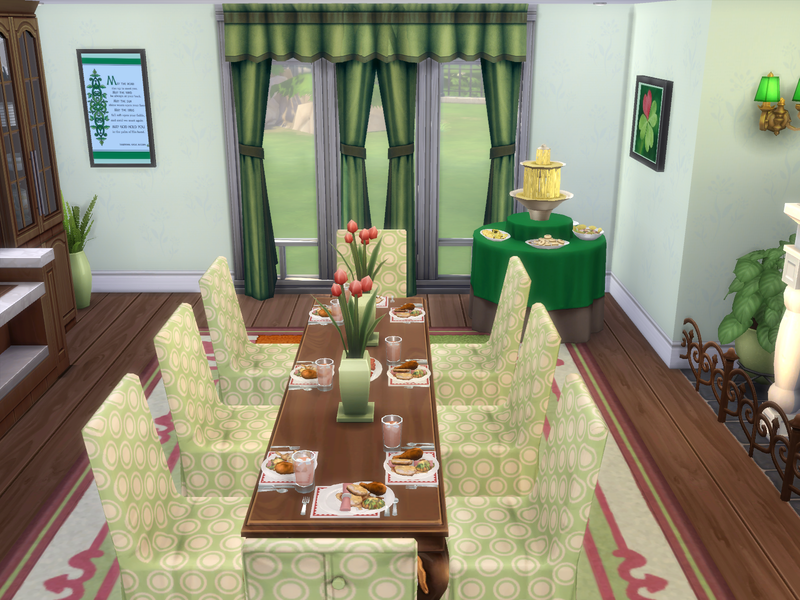 The flag themed floor rug near the front door is a nice touch.The patterned green dining chairs look very pretty and will be comfortable for the Sims to siit on when eating the meal. 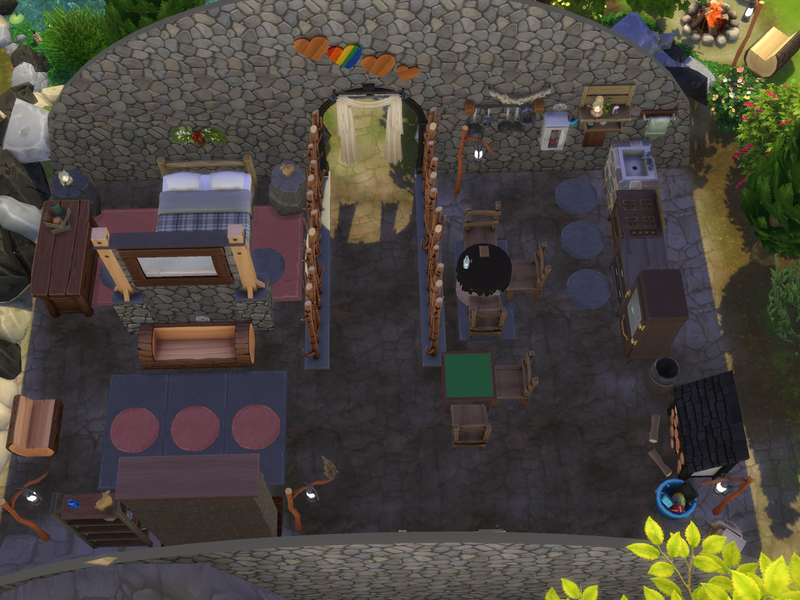 They will enjoy listening to Irish music from the stereo whilst eating food from the green buffet table and enjoying a drink from the fountain. 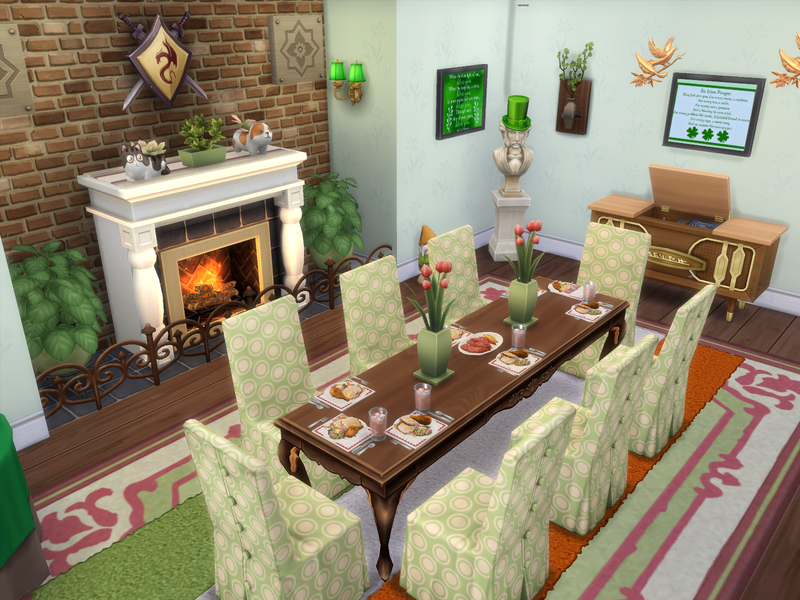 The pink flowers on the table are prety for Sims to see whilst dining. The green top hat statue and green leprechaun gnome look great! 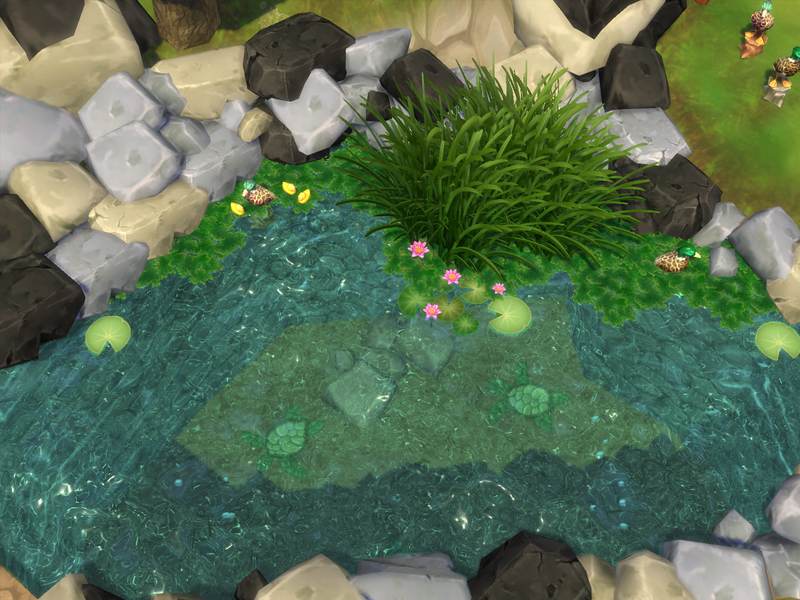 It looks very nice the way you have placed the wall plants items and golden birds either sides of the wallart . 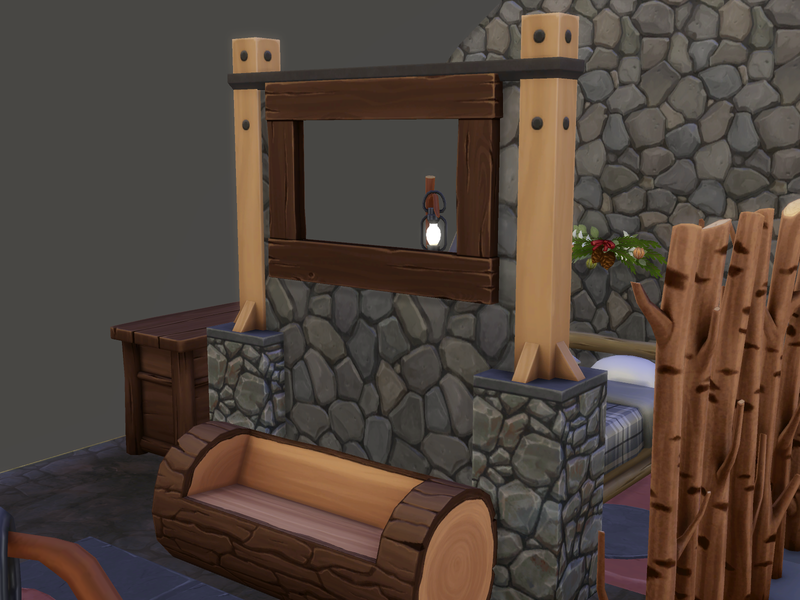 Very nice design of the fireplace nook! It looks very warming! 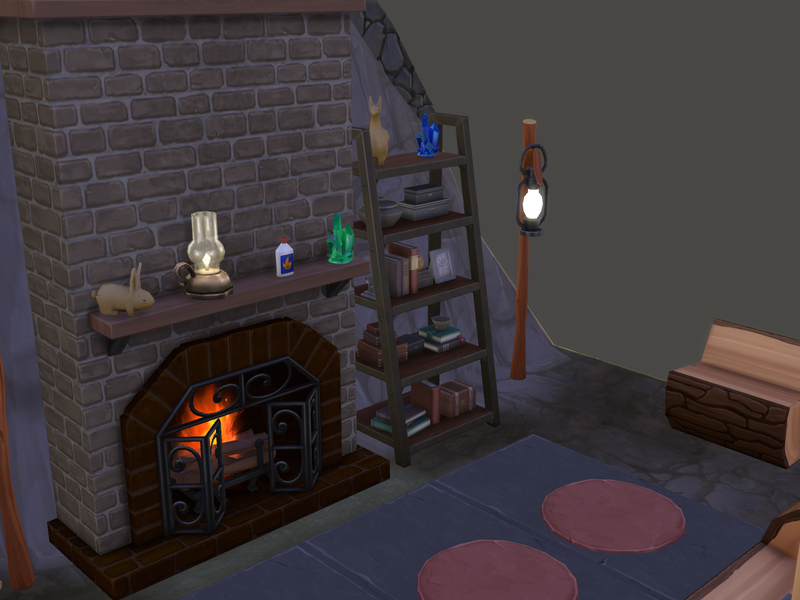 The brick wall texture, fencing, green plants on the fireplace ledge and either sides of the fire, and the shield on the wall look very nice and homely! 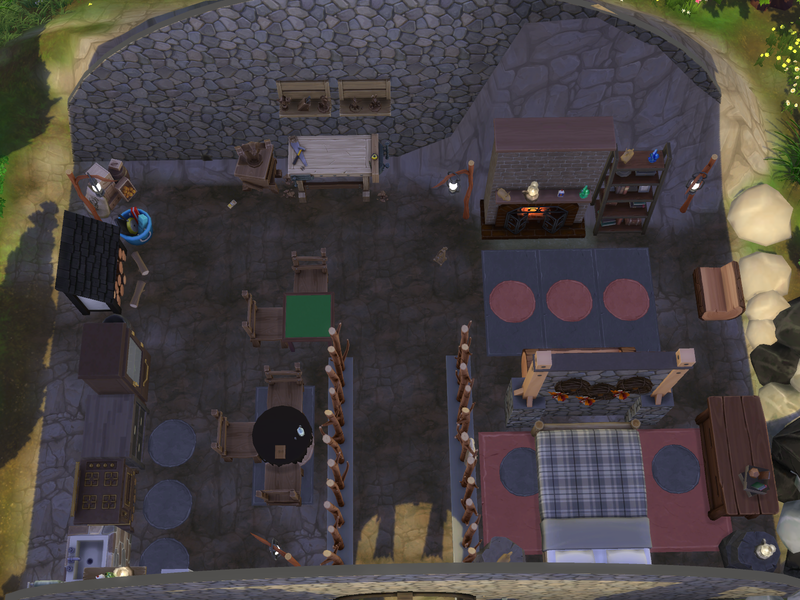 The design of the bar counter is great! It looks very nice the way the brown cabinets have been placed there to form the bar nook. The drinks shelves are a nice touch on the wall. 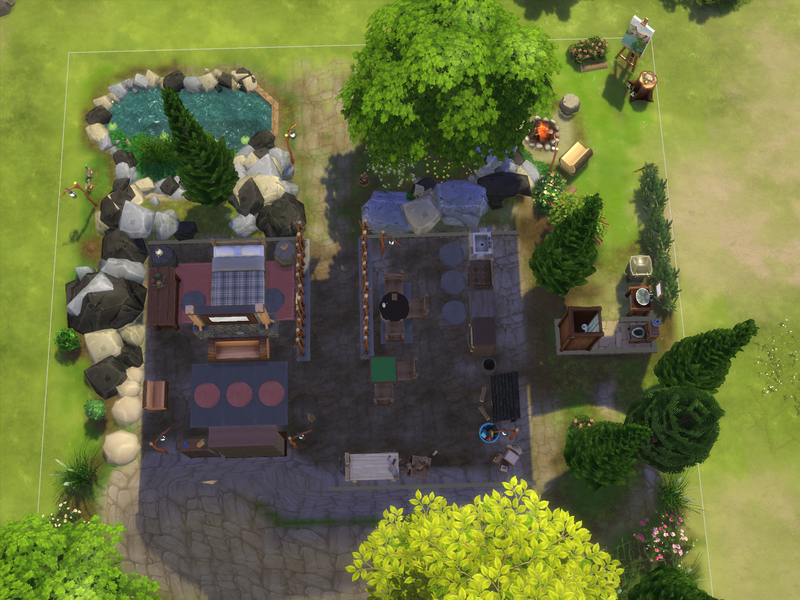 The Sims will enjoy having a drink from the bar or from the drink tray with their meal. Thankyou very much for using my Irish blessings wallart in your room! 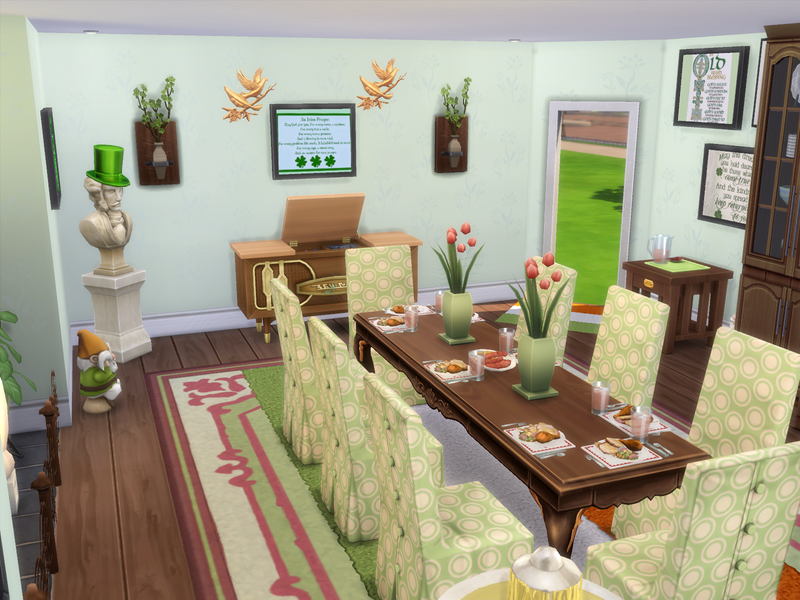 The Irish themed furnishing of the dining room is very nice! 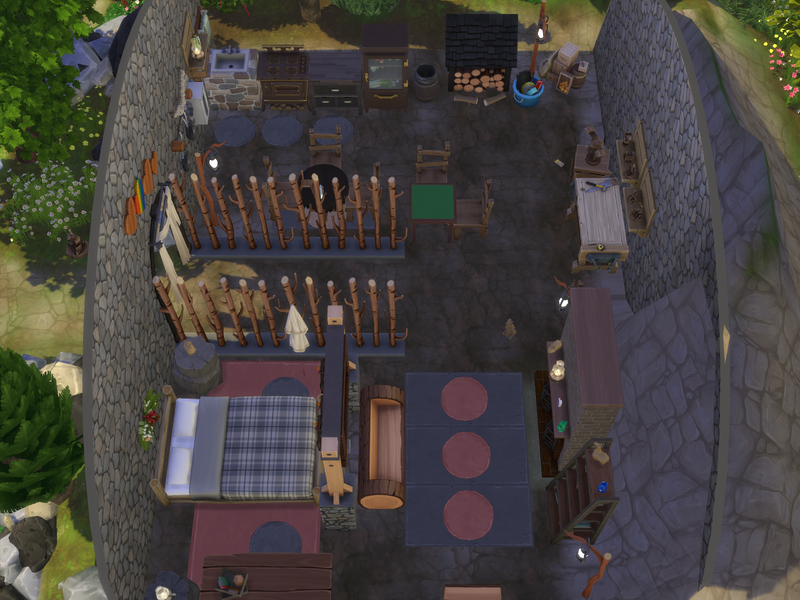 Your room looks great for Saint Patrick's Day @chips46, and the details are great ! You even pretended that the gnomes were Leprechauns ! I agree it is a beautiful spacious dining room! 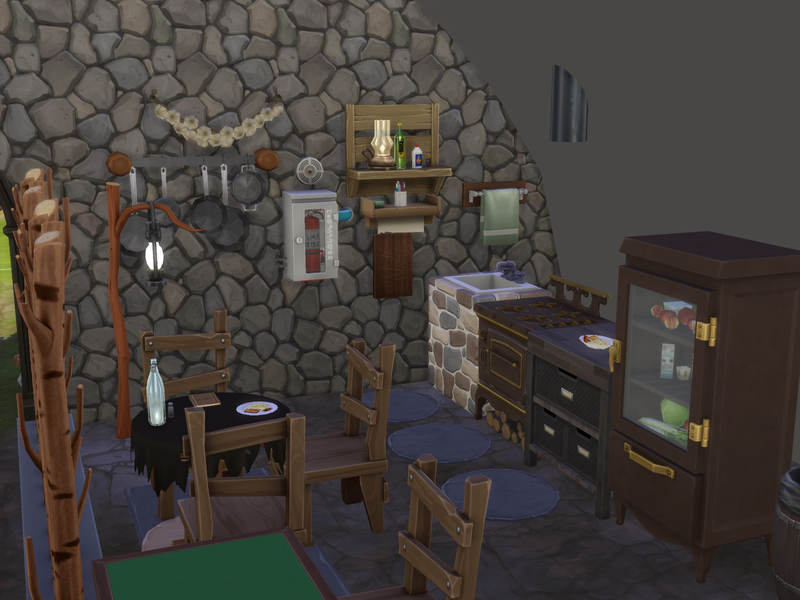 Cave Sweet Cave is a very creatively nice and great cave themed home! The name of the build is great! 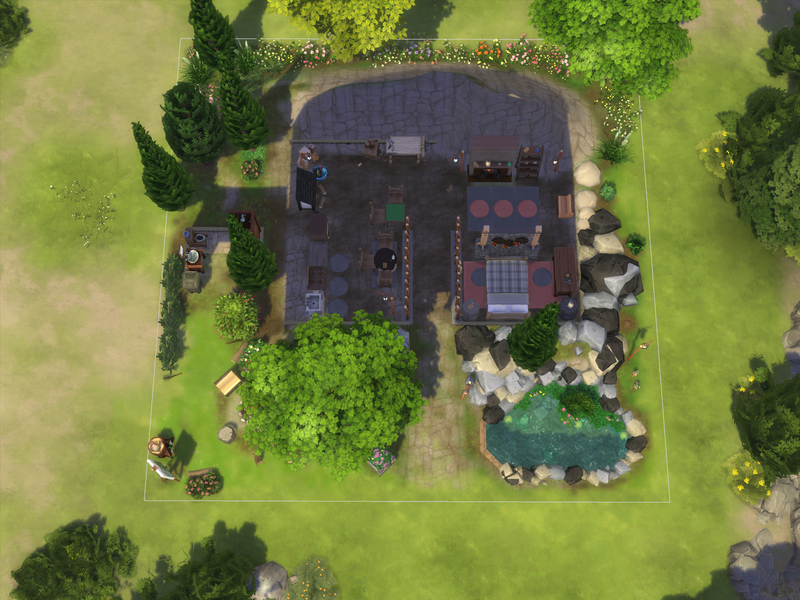 Very nice design of the build! 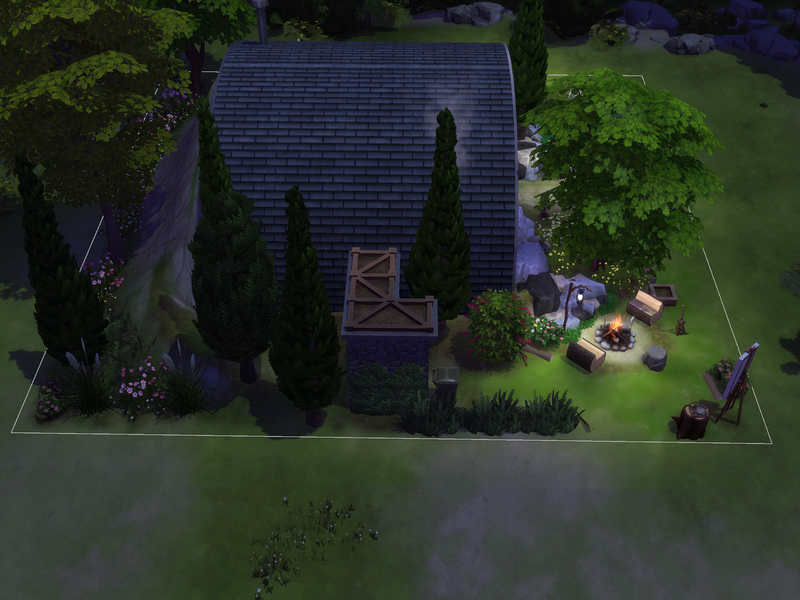 The outdoors areas are very nice! 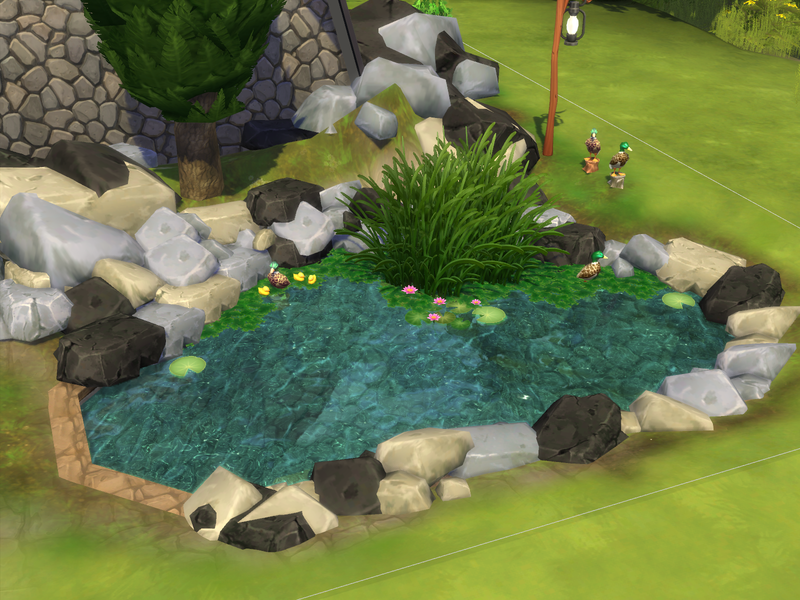 Very nice swimmable pond! 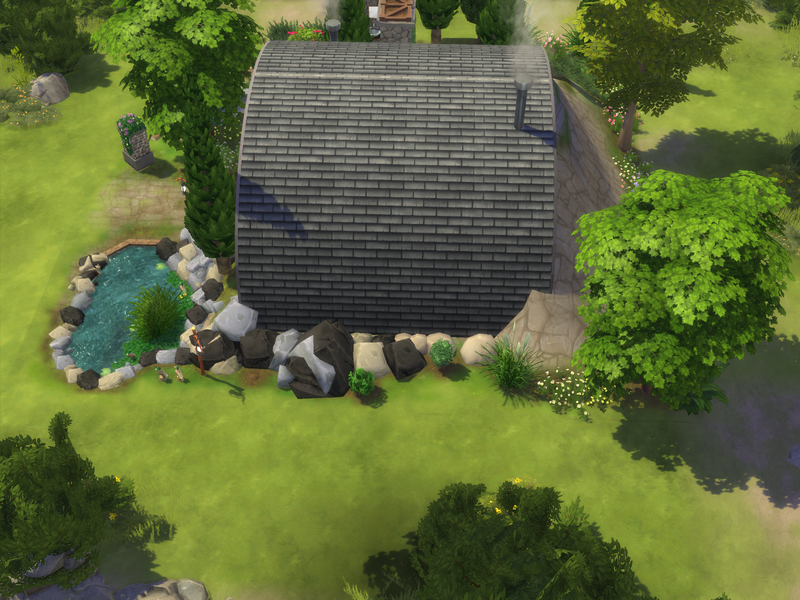 The rocks look great on the edges of it. 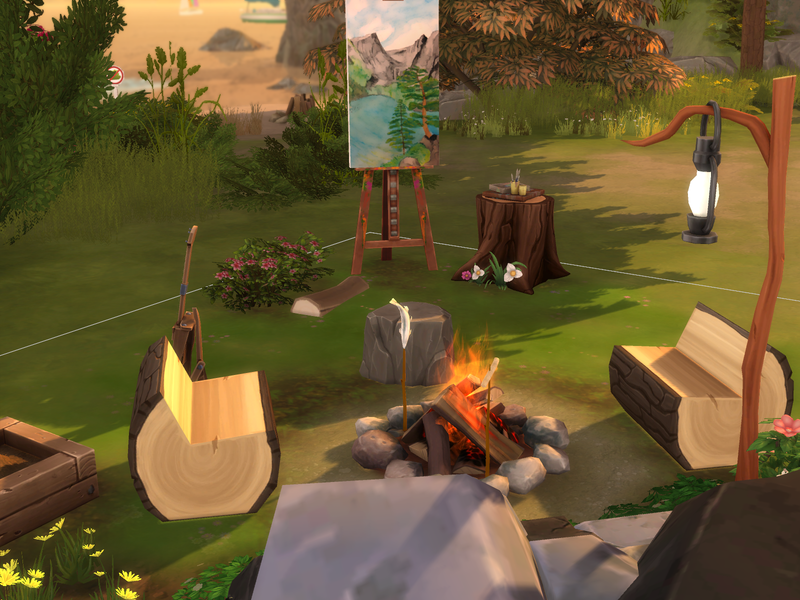 Very nice areas for Sims to enjoy painting on the easel or sitting around the firepit keeping warm and toasting food. They will enjoy painting on the easel. 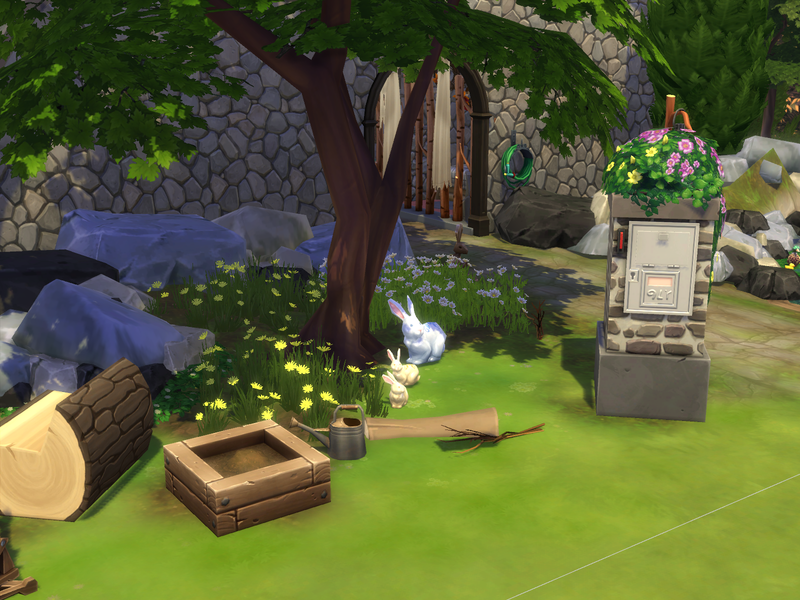 The bunnies are cute! 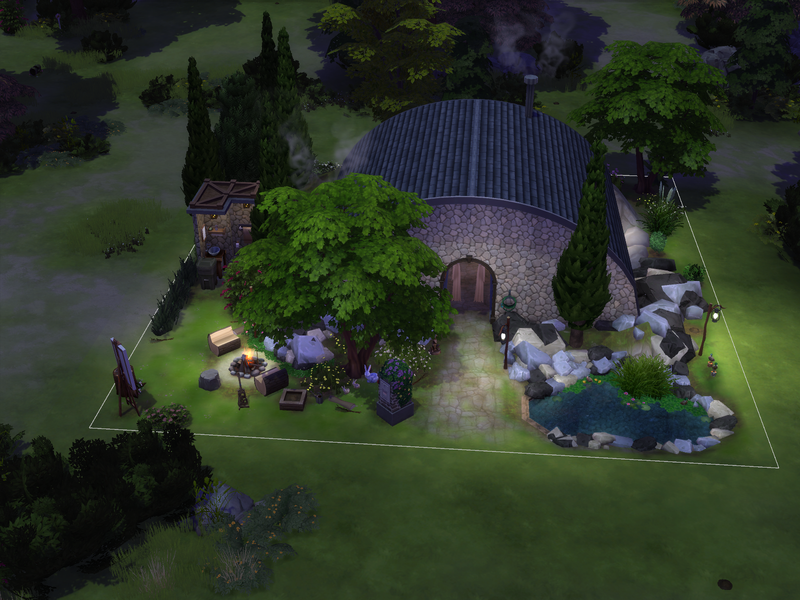 Very nice rock stone texture of the exterior and interior walls of the cave! 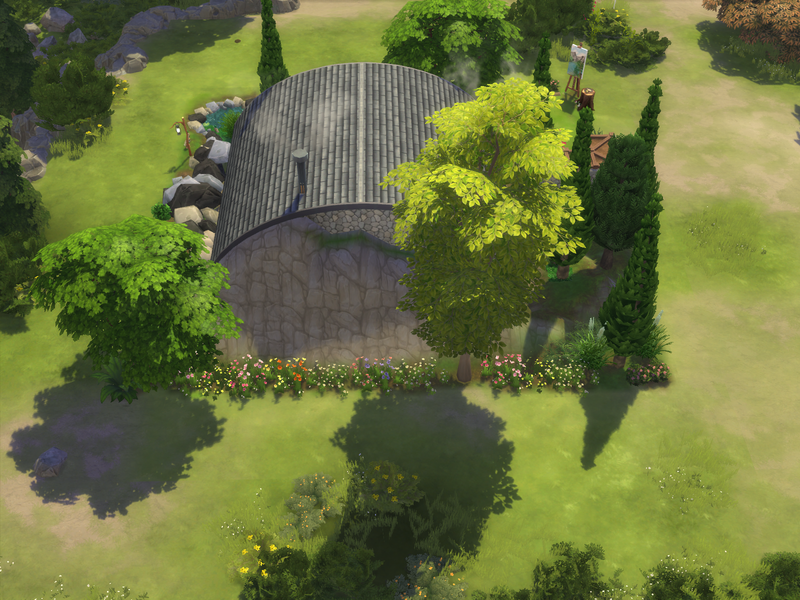 The curved roofing is great! 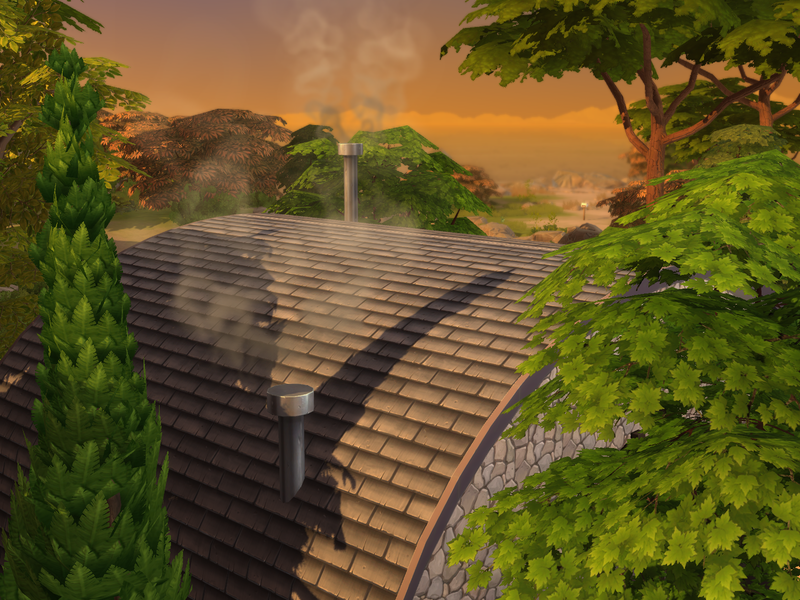 The vents on the roofing to let out the smoke is a great idea! The flowers are pretty on the edges of the cave. 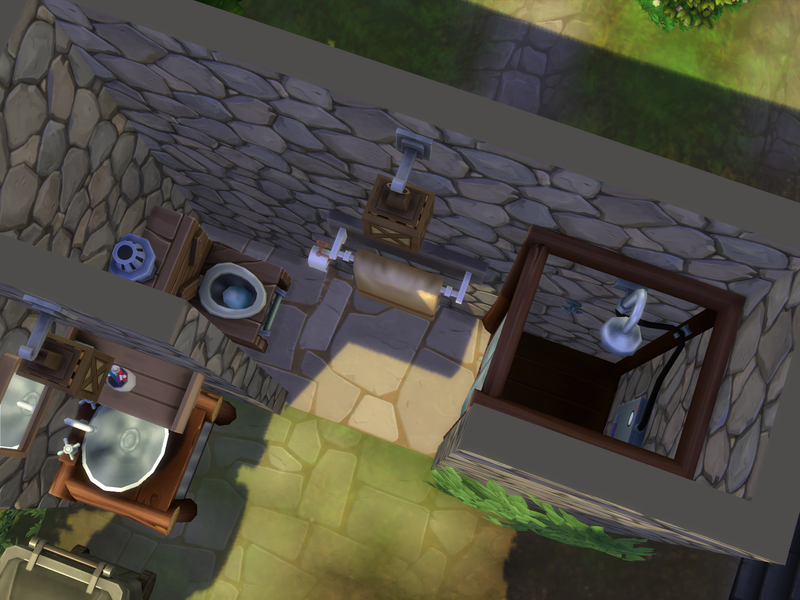 The design of the outdoors shower, sink and toilet nooks are great! 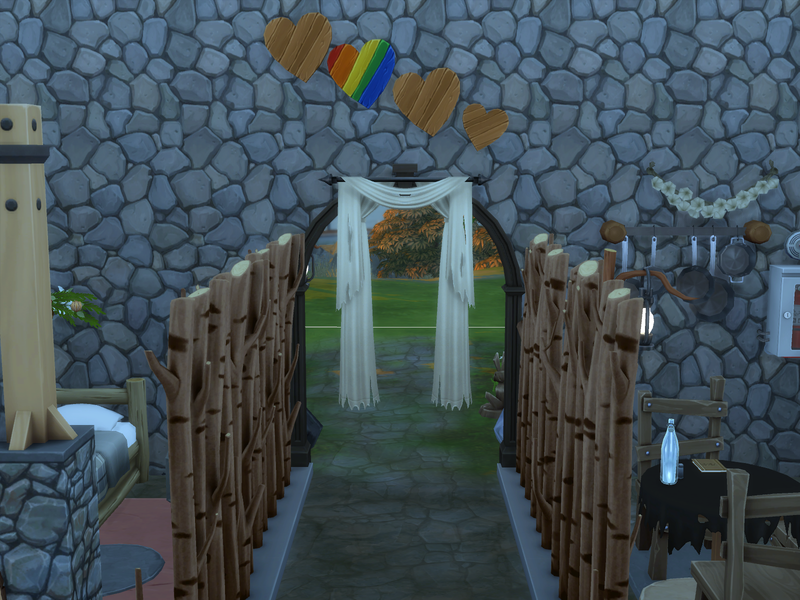 The hearts are pretty on the interior wall. It looks very nice the way that the branches wall dividers separate off the areas. Very nice design of the kitchen and dining area! 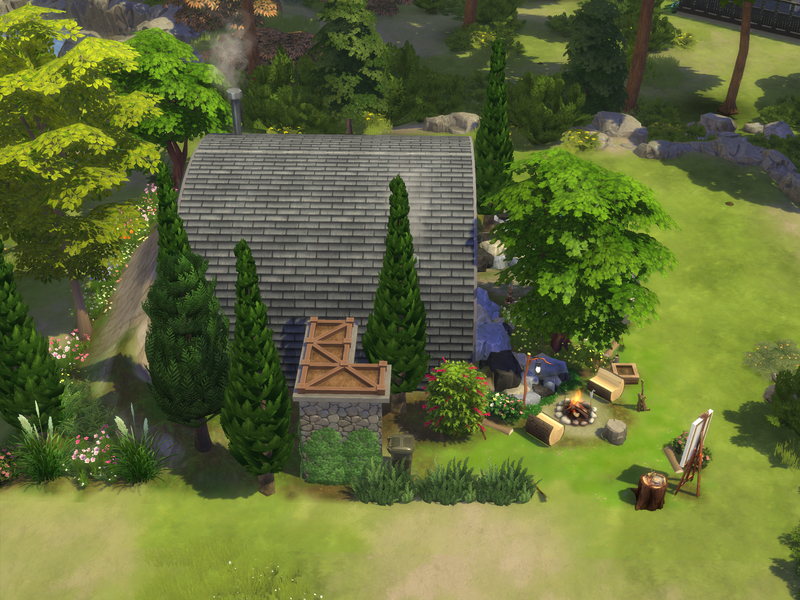 The outdoors living game pack items suits the build theme so very well! The type of seating used looks great! They will have fun playing card table games, and enjoy doing crafting on the woodwork table. 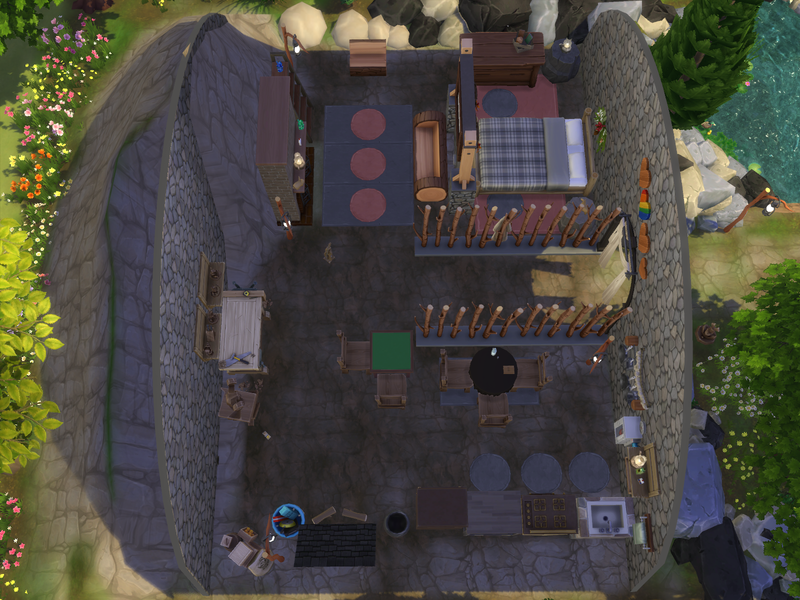 The layout, design and furnishing of the cave build is creatively great! Dreamy Pink is very lovely and pretty ! It does look very dreamy! Very lovely pink colour scheme of the room! The pink marble walls are very elegant! The sprinkles are very pretty on the floor! 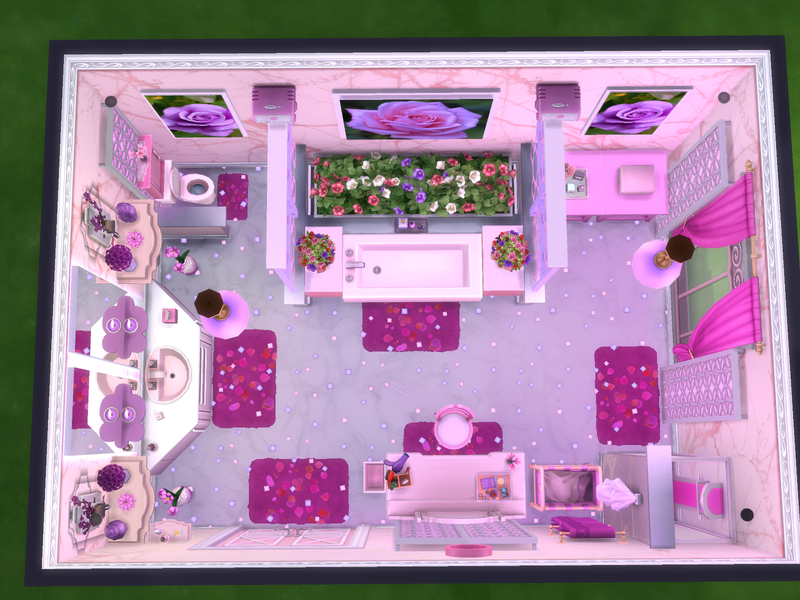 The pink patterned floor is very nice for Sims to use to enter and exit the room. 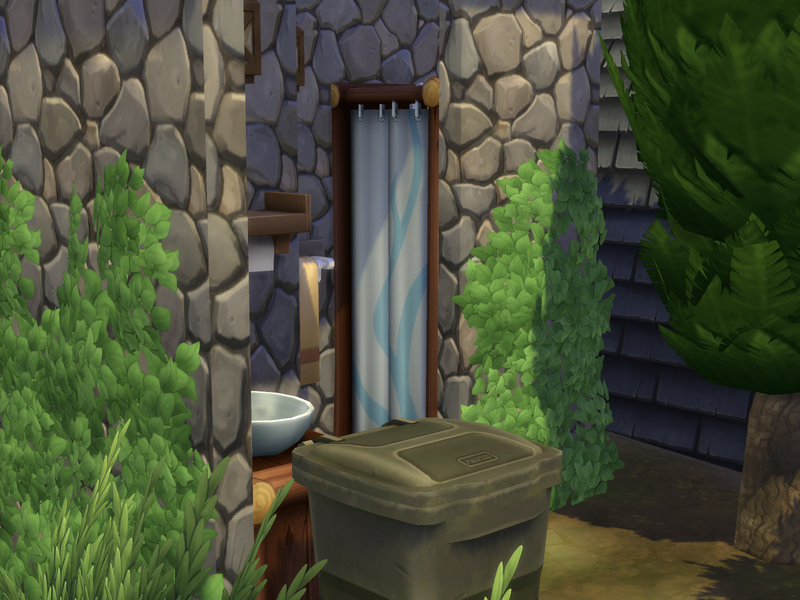 Very nice bath tub nook! 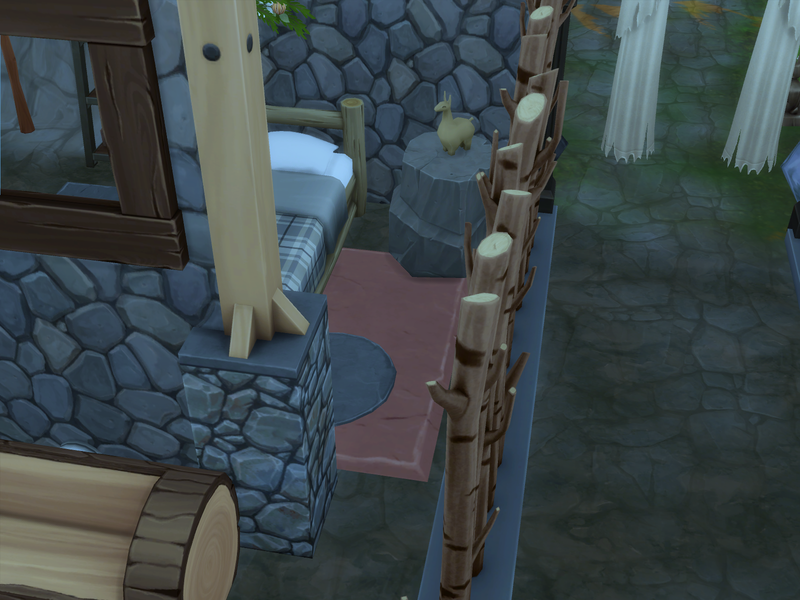 The flowers on each end, and beside the bath tub are so pretty for Sims to see when restfully bathing! 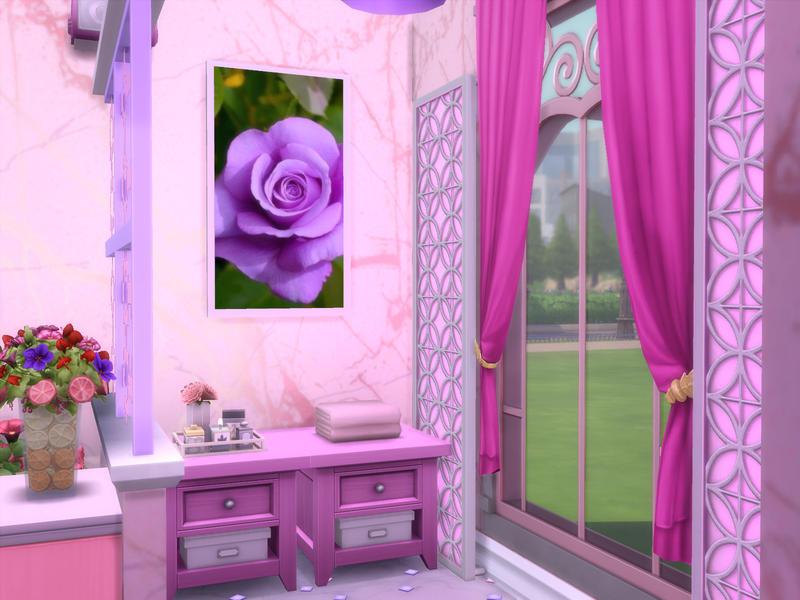 The roses wall art looks nice how you have placed them on the walls of the nook areas in the room. 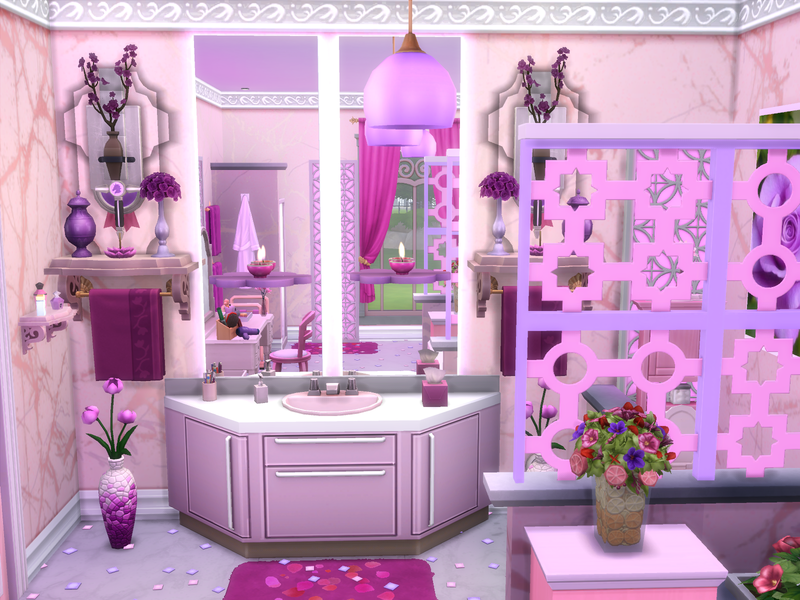 Very pretty pink vanity table area! 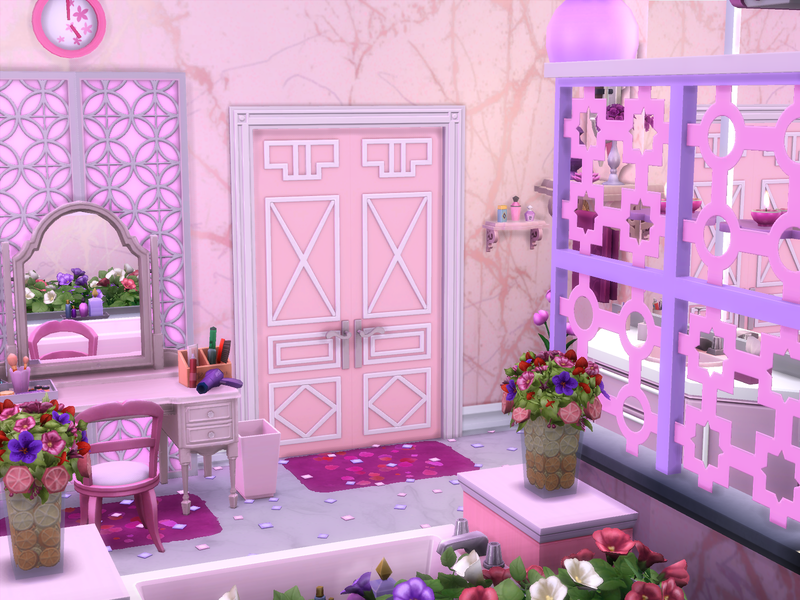 Sims will enjoy sitting there on the pink chairs doing their makeup and using the beauty products and hairdryer. The pink wall towels are nice homely touches, and pink clothes hamper trolley is great! . It is nice the pink wall clock is there to keep track of the time. It is very nice that the pink marble wall separates off the shower nook. 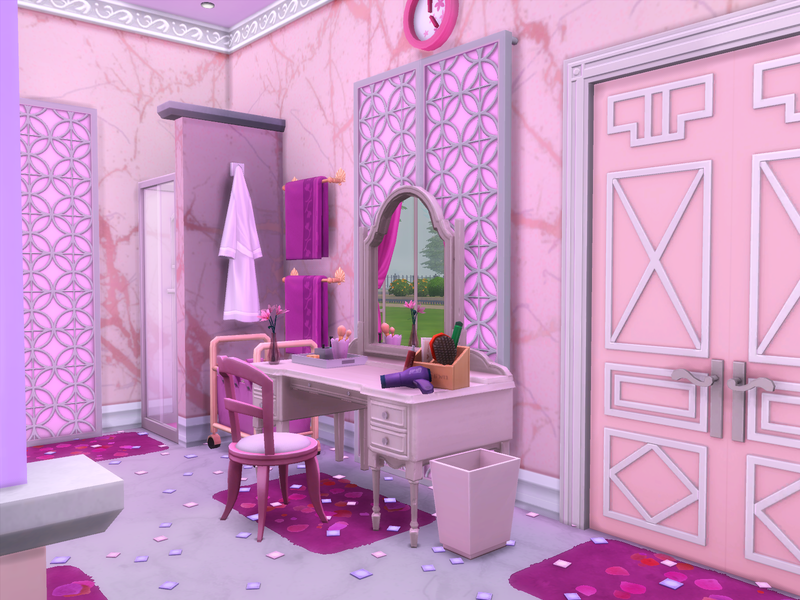 The pink floor rugs are very nice touches in the room! 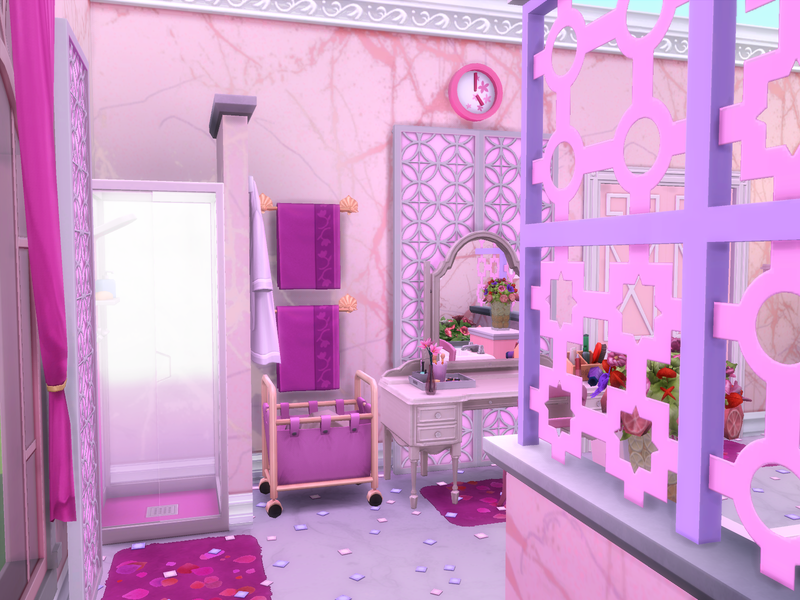 The pink patterned wall item looks so very nice in the room areas! Very nice nook area with the pink towels and prerty candles and flowers. Very lovely pink curtains on the window! 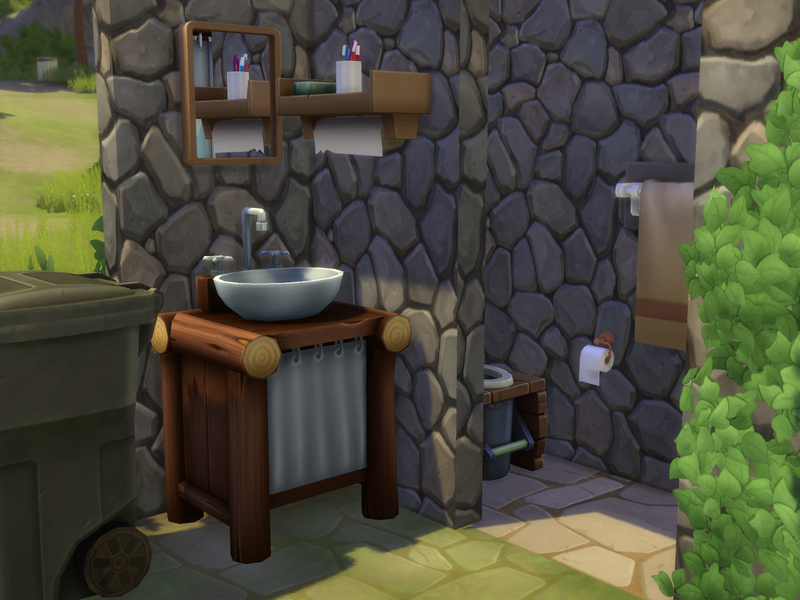 The sink counter area is very nice! 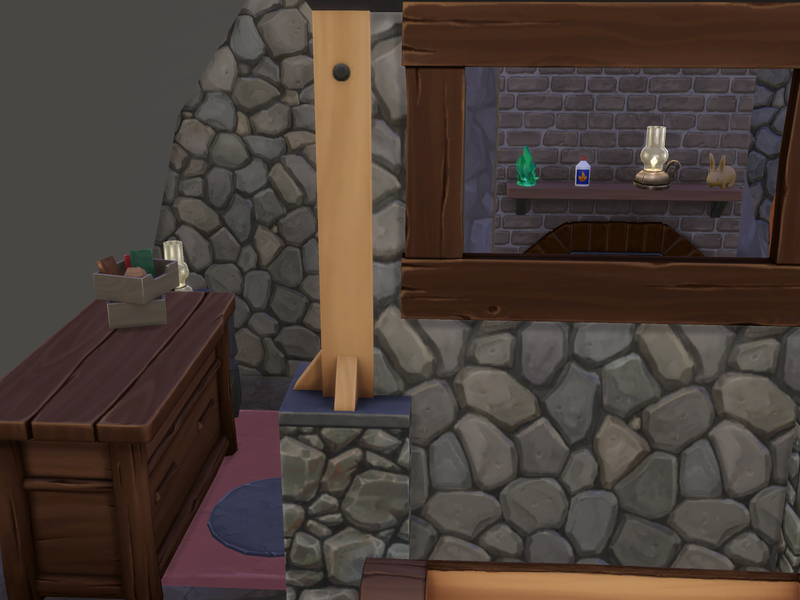 The vases of flowers on the wall and floor either side of the counter are very nice! 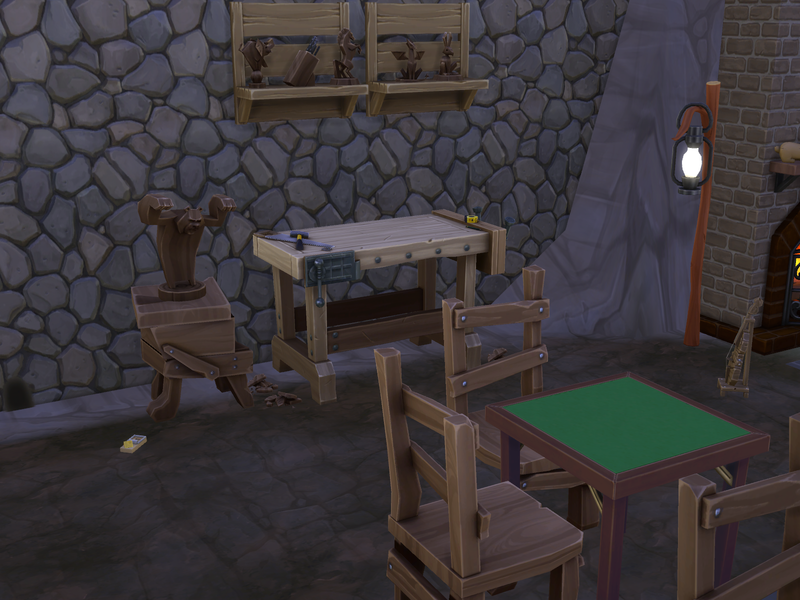 The design of the counter walls with the items looks great! The pink tissue and toothbrush are homely! Thankyou very much for using my wallart in your room! 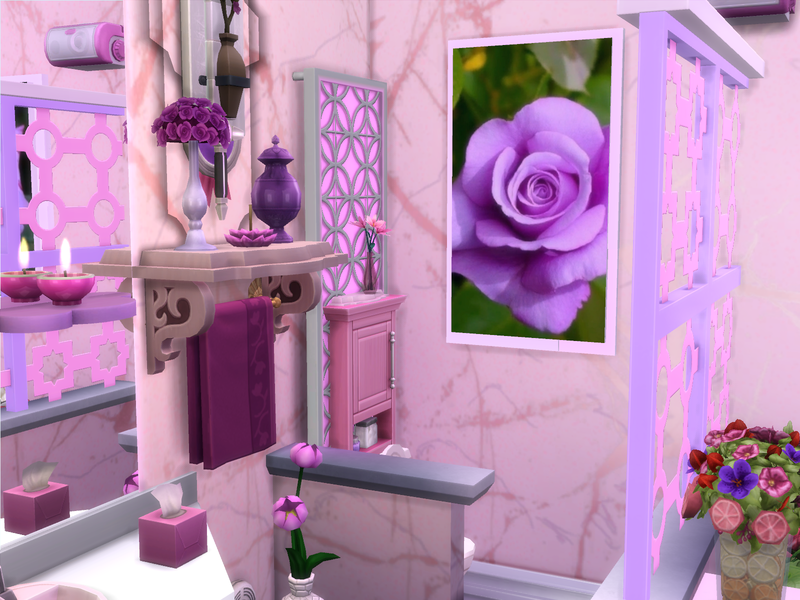 It is a very lovely and dreamy pink colour scheme of the bathroom! Thankyou very much for entering this week’s challenge ! 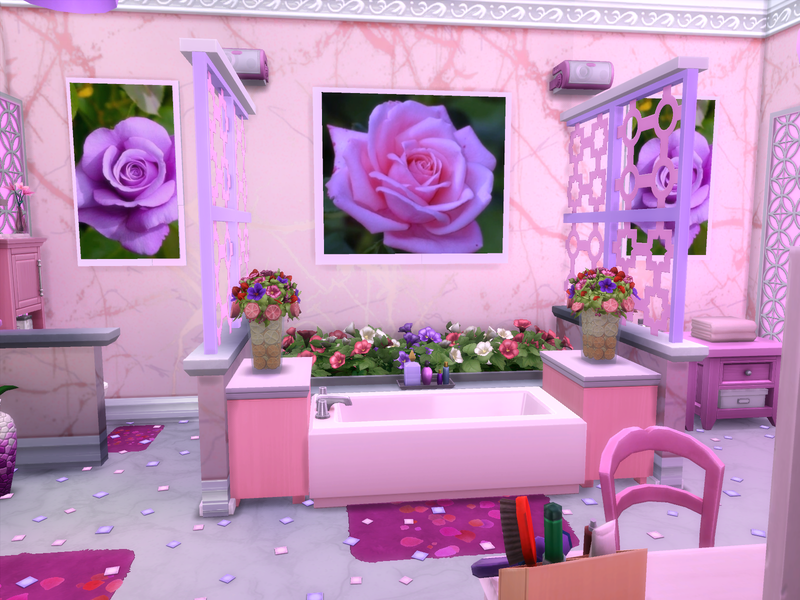 Very pretty pink bathroom @chips46 ! Wonderful details and lots of pretty flowers ! forgive me for only just finding this thread, not been on here for for such a long time until recently. You’re welcome @chips46 ! 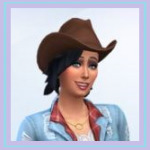 By the way, your builds are fantastic, and your super good at building ! 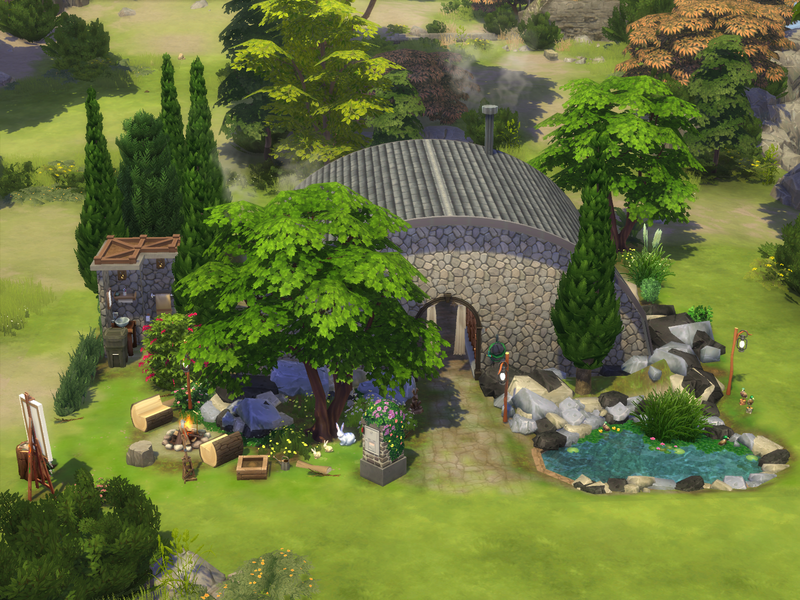 Everyone can spot stuff in their very first build that they would change...lol !